ECRI Institute has named antimicrobial stewardship one of its "2017 Top 10 Patient Safety Concerns for Healthcare Organizations." ECRI Institute is a nonprofit organization that researches approaches to improving patient care. To select topics for its 2017 list, ECRI Institute stated it used event data from its Patient Safety Organization, concerns raised by healthcare organizations and expert judgment. 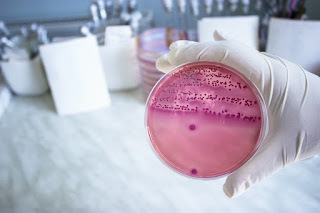 Antimicrobial stewardship (AMS) was ranked number five on the list. AMS refers to coordinated interventions designed to improve and measure the appropriate use of antimicrobials by promoting the selection of the optimal antimicrobial drug regimen, dose, duration of therapy and route of administration. In its executive brief summarizing the top 10 list, ECRI wrote the following about AMS: "Today, drug choices for treating many bacterial infections are becoming increasingly limited and expensive — and in some cases, nonexistent. Inappropriate prescribing is a key factor. 'If prescribing habits do not change, more people will die from infections for which there is no treatment,' says Sharon Bradley, RN, CIC, senior infection prevention analyst, ECRI Institute." Phenelle Segal, RN, CIC, founder and president of Infection Control Consulting Services (ICCS), noted the following in a recent blog about AMS in ambulatory care and ambulatory surgery settings: "ICCS stresses the need for ambulatory surgery centers and other outpatient facilities to develop their AMS programs without delay as ... accreditation agencies ramp up their efforts to implement changes in antimicrobial use. The Joint Commission will more than likely hold its outpatient facilities to the same standards as inpatient and nursing care centers, and it would not be surprising to see other accreditation agencies (e.g., AAAHC) add an AMS standard(s)." Also in ECRI's top 10 list: information management in EHRs (#1), unrecognized patient deterioration (#2), implementation and use of clinical decision support (#3), and inadequate organization systems or processes to improve safety and quality (#10).